Add Sly Stallone to the list of people who thought Mayweather vs. McGregor was a farce ... with Rocky himself saying he's over the hype and moving on to the "REAL" fight - GGG vs Canelo. Cobra was seen leaving the Palm Beverly Hills and asked if he thought the GGG/Canelo fight would be more interesting than Floyd and Conor. 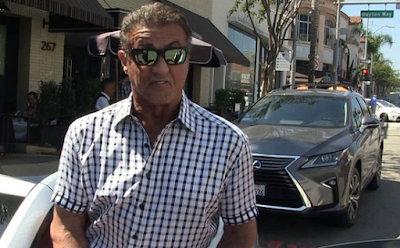 Stallone didn't hold back (just like he didn't in "Over The Top," another freakin' gem from his resume) and told the reporter it was obvious which would be better, cause only one is legit. Lol.